education. In its expansive review, this book is both about neo-institutional thought in general and world society theory in particular. 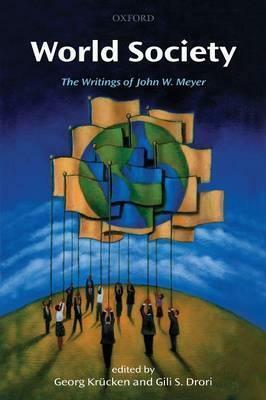 This book is both by John W. Meyer and about John W. Meyer: to the compilation of Meyer's canonized and current work, Georg Krucken and Gili S. Drori add an essay on the theoretical and empirical contribution of Meyer's institutional theory, placing it within the broader context of contemporary social theory, globalization research, and organizational studies in both in the United States and Europe. organizational studies, and the management of higher education. Organization (OUP, 2006 co-edited with John W. Meyer and Hokyu Hwang).